Chichester City are within touching distance of their first SCFL Premier crown for nearly 40 years – and they can wrap up the title tomorrow by picking up a single point at home to Langney Wanderers (3pm). Miles Rutherford’s side have been imperious in recent weeks, racking up seven successive league wins and netting 21 goals in the process. Chi continued their fine form last weekend when they put five past basement side Shoreham. That victory – combined with second-place Horsham YMCA and third-place Newhaven drawing 1-1 – means City are 12 points clear at the summit with just four matches to play. With Chi boasting an impressive goal difference of plus 66, the title is all but won already. But Rutherford’s men can officially pop open the champagne corks tomorrow with a positive result against Langney. With a strikeforce bang in form, few would bet against Chi from putting the stubborn Wanderers, who are sitting sixth bottom in the standings, to the sword. Scott Jones bagged his second hat-trick in three matches in the victory over Shoreham last weekend. After breaking the deadlock just three minutes in, the pony-tailed striker added two more composed finishes to guide Chi to another victory. A bizarre own goal and a late goal from Josh Clack, his 15th of the season, rounded off the 5-1 win, which made it 20 league games unbeaten for City. 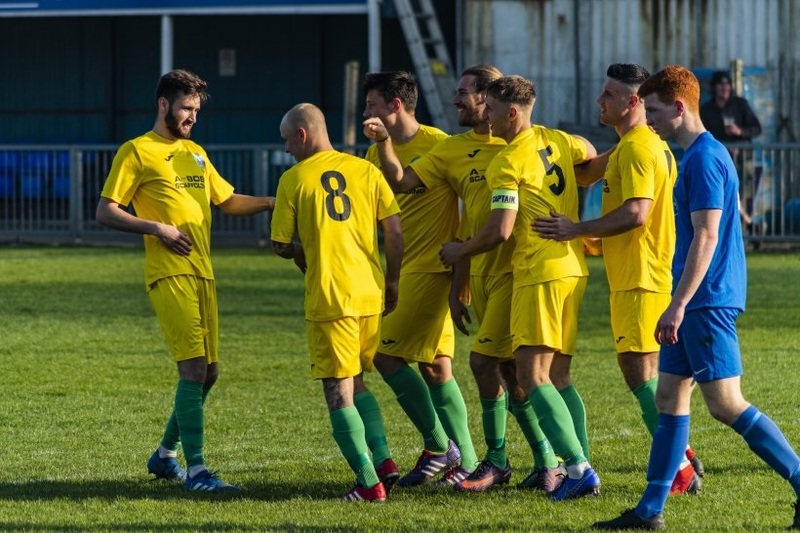 A first county league title since 1980 and a place in the Bostik League for the first time in their history awaits – providing they can pick up a point in the next four matches. It was a good weekend for everyone involved at Chichester City as the Ladies rounded off a couple of days to remember with a 3-2 victory at undefeated National Southern Premier leaders Coventry United.